We sell used computers and laptops at wholesale prices. Are you looking to buy cheap computers for your Call Room ? We can help! Give us Call! We have recently installed a 25 Seat Call Center in Downtown Delray Beach Florida. We Supplied HP Business Class Desktops with 19inch LCD Monitors. We specialize in selling used computers at very low prices. If you are a looking to buy cheap refurbished computers , give us a call! Are you looking for used computers for your call center ? We specialize in selling computers at very low prices to Call Centers in Boca Raton. We offer great prices and the best quality. Please give us a call for more info! We carry a large inventory of Refurbished Used Computers in stock at very low prices. We promise the best prices and the best quality. All of our computers go through a very thorough Testing Process. We guarantee the best performance and quality. We have set up a lot of Call Centers Rooms in Boca Raton area. We specialize in setting up call centers in Boca Raton. We carry hundreds of used computers at very low prices. Buy Cheap Desktops for you call center. We have equipment and the experience. 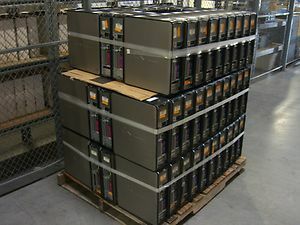 We sell cheap used computers in bulk. If you need to buy desktops in large quantities please get in contact with us. We carry a large inventory of used computer equipment. Buy online or come to visit us! Are you looking for used/refurbished laptops ? We have a large inventory of used laptops and desktops. All the computers comes with warranty and they work like new. If you have any questions, please go ahead and contact us. You are welcome to visit our main warehouse! We specialize in selling used computers, monitors, and laptops. Over the years, we have helped hundreds of business in Boca Raton with their computer needs. We have a large inventory of used computer equipment. No order is to big or small. We carry Dell, HP, Gateway, Acer, Asus, and much more. If you are looking for used computers in Boca Raton, Fl please contact us. We can help! You are welcome to stop by our main warehouse.